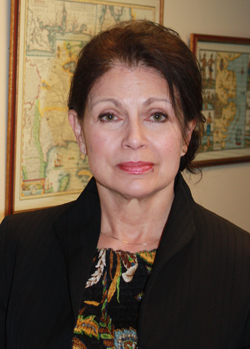 Lucinda Giorgetti has been practicing exclusively in family law since 1996. She has been licensed in both Oregon and Washington since that time, and has practiced at law firms in both states. For the last seven years, Lucinda has been a sole family law practitioner with offices located in Lake Oswego, Oregon. She maintains her practice in both Oregon and Washington, with an emphasis on serving clients whose cases have, as she terms it, “jumped the river” and require knowledge of bi-state issues. Lucinda believes that as a sole practitioner, she has developed an enhanced ability to provide both an empathetic and more personalized approach to her professional representation of her clients to meet their individual needs. She maintains a dual approach of being consensus-driven but trial ready in order to achieve the most positive and efficient outcome in each case. Prior to becoming an attorney, Lucinda was an accomplished professional in teaching and academics in Virginia, her home state, and in health care administration here in Oregon. This experience provided her with a rich background in human relations and non-legal perspectives which translates well to her law relations and work. Copyright 2019 Lucinda Giorgetti. All Rights Reserved.